Available only in this value pack, the Damascus All Weather Gloves Combo includes Winter Duty Gloves and Unlined Shooting Gloves to meet year round needs. The Unlined Shooting Gloves deliver lightweight protection that’s perfect for the range. 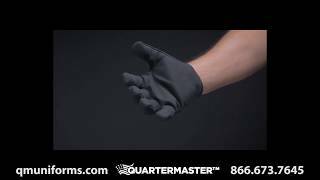 The Winter Duty Gloves feature Thinsulate™ lining to keep your hands warm when the weather turns cold. Within 24 hours the thinner of the two pairs had multiple snags. I have worn the thicker pair in substantially cold weather, but I am not law enforcement so they have only been subjected to normal wear and tear, and after owning them them for less than 2 months they are falling apart. These gloves are very poor quality and I do not recommend them to anyone, let alone LEOs.